Recently I wrote about Oliver & Co bringing out 16ml Travel Sizes, I also bought a pair of them in the new scents Ambergreen & Vaninger. Oli Valverde the perfumer got in touch almost immediately after my purchase to thank me (I know right, super sweet) and offered to send me some samples through for all of you to try. YAY! I love this house, that’s how Oli knows me, because I shop there at full price regularly. They are way under-rated and don’t get nearly enough love on the blogs or chat rooms. Fiercely independent fragrance house with scents that are unashamedly boundary pushing while still being totally wearable on a day to day basis. They are often so far off the beaten track though that I find description troublesome and sit dazed and amused in front of my computer enjoying the ride without typing a word. The opening moments are like pulling the lettuce out of cold water where it’s been soaking, then fresh cut grass. It’s clearly spring in this scent. BASIL! OMG! A photo realistic basil from when you water your basil plant in the garden or window box, then it deepens to become the first whirr of making pesto at home. After about 15 minutes the whole fragrance stops being about notes and turns into a green bouquet lightly overlaid with cozy/sharp galbanum and bitter citrus. It’s bloody excellent stuff. Green like walking under the trees near a creek in summer, hot, sweaty green like nothing I’ve smelled in fragrance before. It’s the brushing past shrubs and trees, the breaking of grass under your feet, the smell of healthy, damp earth disturbed and all of this in a warm dampness, cool after being in the blazing sun but not refreshing really. Ambergreen feels like respite, a quiet moment to yourself reading in the park trees shade, or your yard if you are lucky enough to have one. When the darkness of ambergris stirs the sweetness of amber counters its marine hue, the work against each other to create harmony over the green, quite a journey. Entries Close Tuesday 6th December 2016 10pm Australian EdsT and winners will be announced in a separate post. Thanks for the heads-up; will need to give Oli’s work a try. and for the chance to try others)) I’ve tryed Vetiverus only and its very good. Nebula 2 sounds interesting with violet leaves in the formula, as well as a lot more going on. I follow via email. Ambergreen sounds interesting, in fact I always pay attention when basil, thyme or galbanum is being mentioned. I have been interested in this line, and choose Mousse II with notes of mint. La Colonia – dill – and now I really want to try that one too! Somehow this line had flown below my radar and the scents look interesting and different. I follow via RSS and Bloglovin’. Thanks! 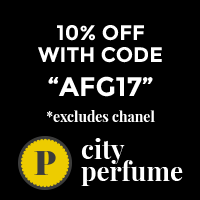 Firstly, i’m delighted to have accidentally run into this site /blog as I’ve been totally unaware such a cool group for perfume addicts existed in Sydney.. I must have been literally living under a rock! Secondly, i’m currently following through my email! Bigarade orange in VETIVERUS. I like the sound of that. I follow by email. These look good. My choice is La Colonia with its lily of the valley. Thanks for the state offer. Not sure if I would like this. I love grassy scents but not herbal ones. Sounds interesting, though. Resina sounds interesting because of the incense in it (myrrh and frankincense). vetiverus-clove bud. I love cloves! 3 of them stuck in half an onion during the braise for my pot roast. From my old Joy of Cooking. They give a special little undercurrent of flavor. I follow by email. Thanks! Hi, I follow by email of the blog. love to try ambergreen! I’ve been looking at his line for a long time and would love to try it. Gincense has ginger. They all sound pretty amazing. I like the idea of the 16 ml travel sizes. And (shock, horror) he does free shipping *everywhere* for orders over €100. What a wonderful thing, non-discriminatory postage! I follow by email (and other things that I never look at, I love that you just pop into my inbox). Thanks for this Portia. M.O.U.S.S.E II with Ambergris sounds exciting. Thanks again for the fantastic giveaway! Fresh ginger in both Vaninger and Gincense sounds fabulous. I follow by email. Thank you for the opportunity! Kumquats in the Vaninger!!!!!! I have a thing for kumquats. I follow by email. Thanks, Portia; these sound lovely! Your description has me hooked+!! I’m already reading a book with the lush ambient smells of nature all around me…. the herb garden near by and 50 shades of green all around me….. aaahhhhh! M.O.U.S.S.E contains aldehydes. Thanks for the giveaway! I follow by email. I love the philosophy behind this Spanish brand. I want to win this contest! I like “M.O.U.S.S.E. II” with notes of mint. I follow by email. The Vaninger vanilla/ginger scent sounds yummy! I follow via email, I would love to win M.O.U.S.S.E II or La Colonia. I am eager to try any of them, but mostly – Vetiverus and the osmanthus absolute in it!!!!! That is my choice!!! I follow by FB, on Google + and by email. Vaninger has lemon. thanks for the generous draw. I follow APJ through email and fb. I follow by email. GingerCO2 extract in Gincense. What an opportunity. I do so want to try this house. Thank you so much for this. Ah Portia! I have been reading back through your blog catalogue of reviews on Oliver and Co. I have to agree that this house is underrated in the frag community. These are very wearable dailies, yet there is a nudge at the boundaries of niche. Your description of Ambergreen is spot on. I love it simply for the fact it challenged me the first time I tried it, and still does to this day. It is a surprise each time I wear it, yet I know what is coming up. The trip through a garden filled with green matter of many sorts is best explored early in the morning, I find. It makes me alert, glad for the day ahead and I get to spend more quality time listening to its tale unfold. I am thrilled that Oliver has contacted you direct. I can state emphatically that he has excellent customer service and takes huge pride in the whole package. It has been an all round pleasure to deal with Oliver and Co.
YAY! I’m so glad you’re loving the Oliver & Co crew. Freaky but nice frags for anytime. Yes, I love to walk the dogs in the mornings, it sets the tone for the day.